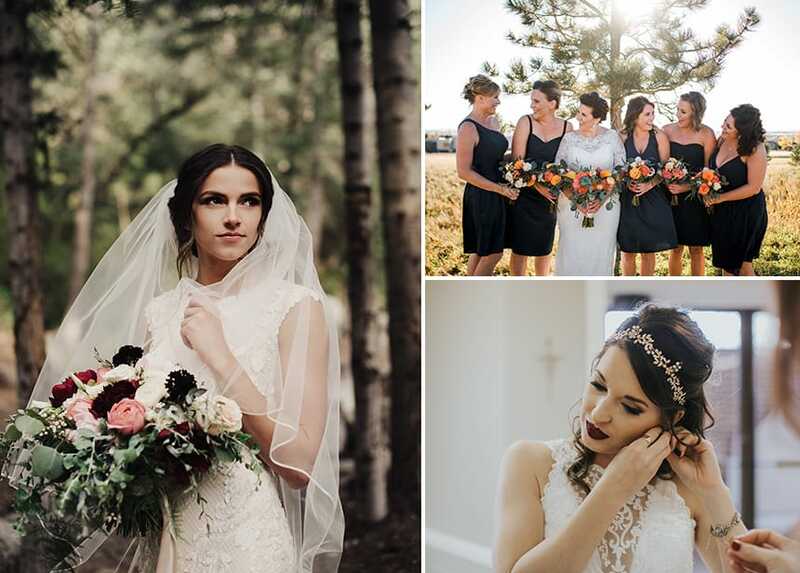 Spring weddings may be popular and summer weddings may be magical, but autumn weddings have that special dose of moody sophistication. 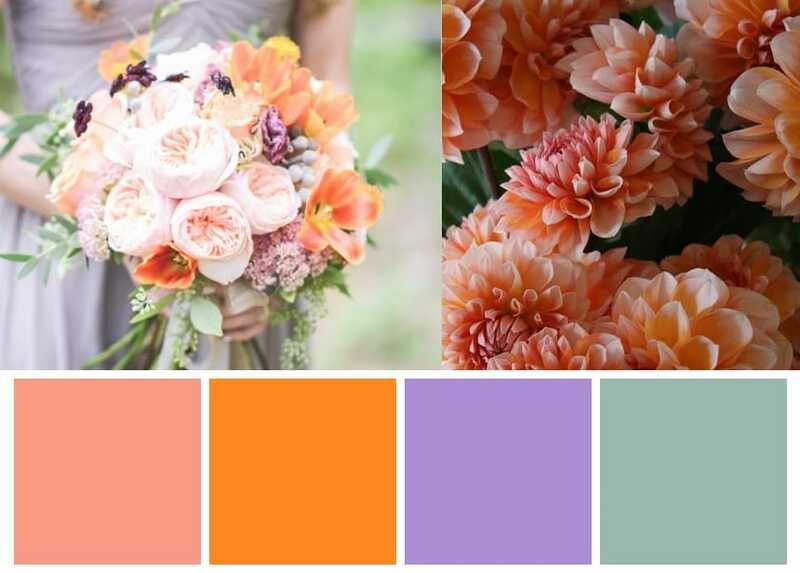 If you’re in the books for a late summer or holiday-season wedding, here are nine color palettes for a fall wedding—from airy and crystalline to lush and sultry. Keep scrolling! 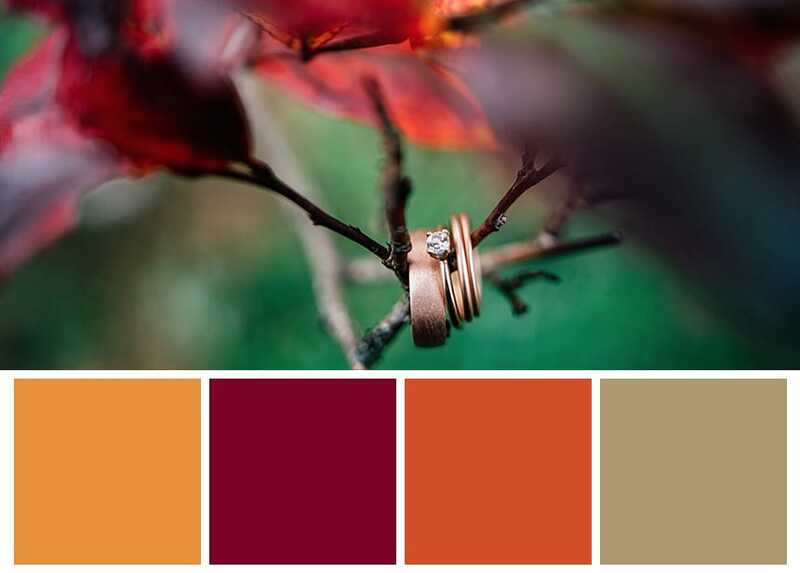 Lay an elegant foundation with browns and nudes, then add fiery reds to evoke an autumn sunset. 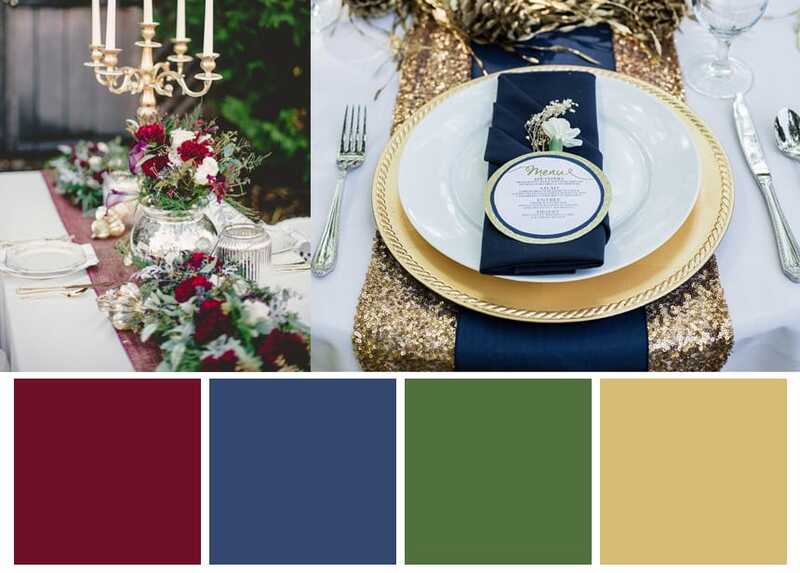 Use jewel tones and a few neutral accents to keep this from looking too Jingle Bells-y. 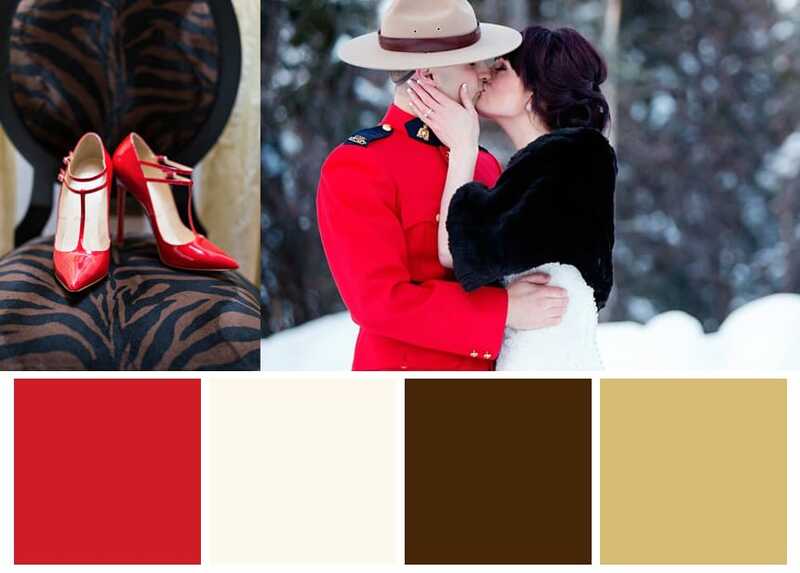 Surprising hues with high contrast make for one sublime palette. 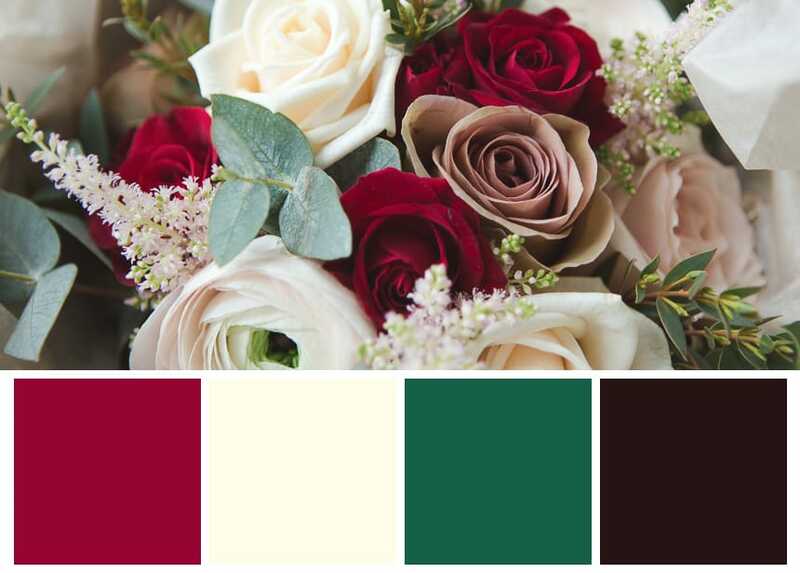 Don’t resist your vampy side; combining parallel colors can be striking and elegant. 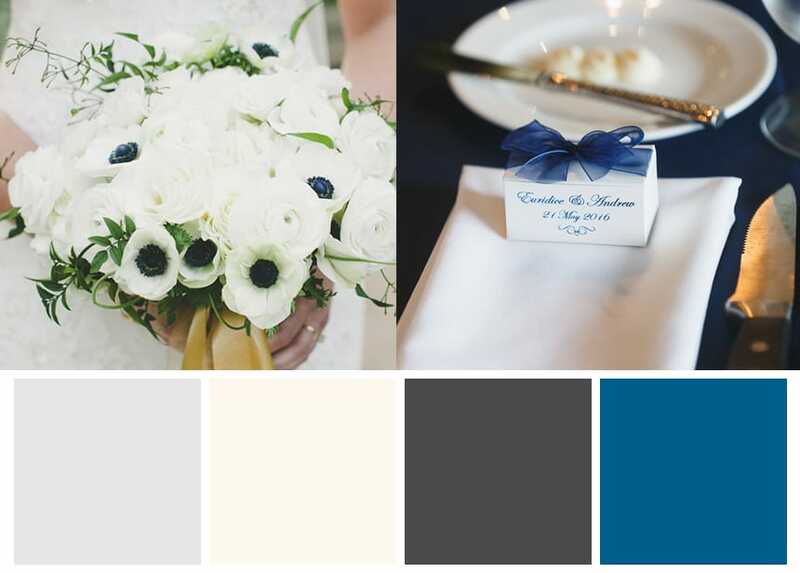 Think white ranunculus and anemone with velvet-blue pistils or charcoal-colored ribbons. The snowy contrast will leave your guests breathless. 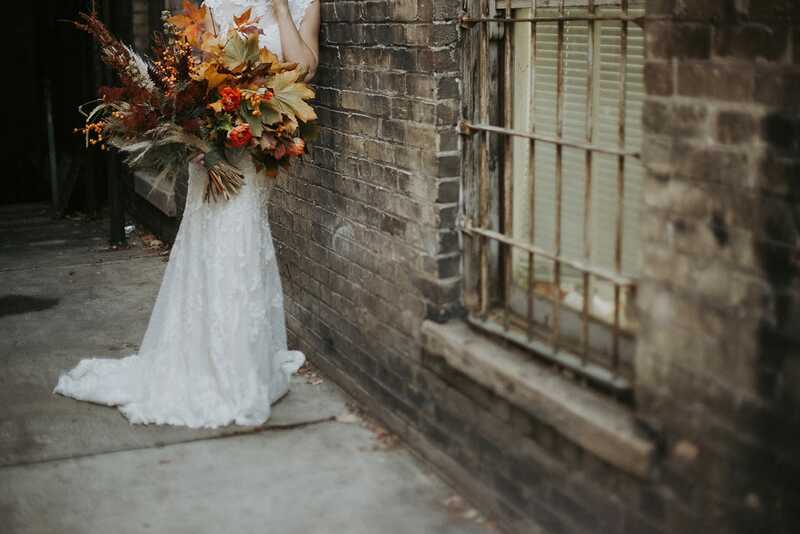 Borrow a palette typically reserved for spring weddings, then create a rusted, textured feel with nonfloral accents and metallic backdrops. 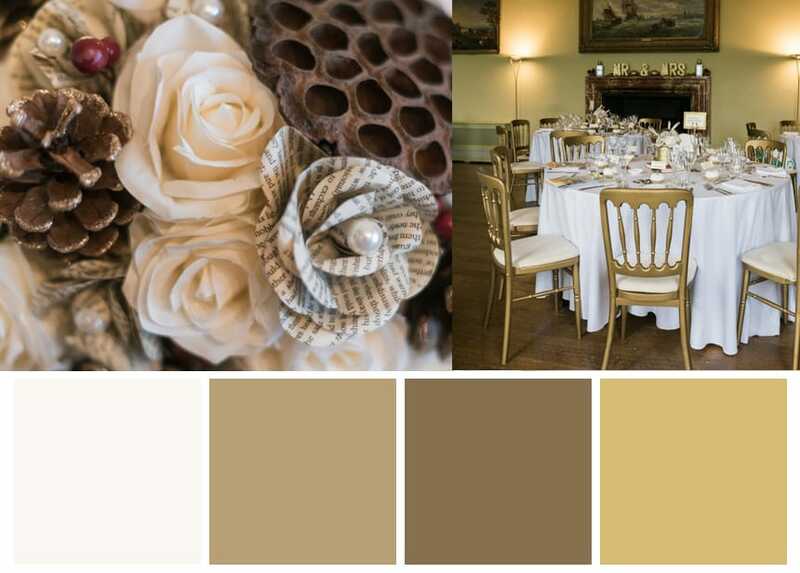 Another minimalist palette, these neutrals are the perfect foundation for a serene and sophisticated occasion. 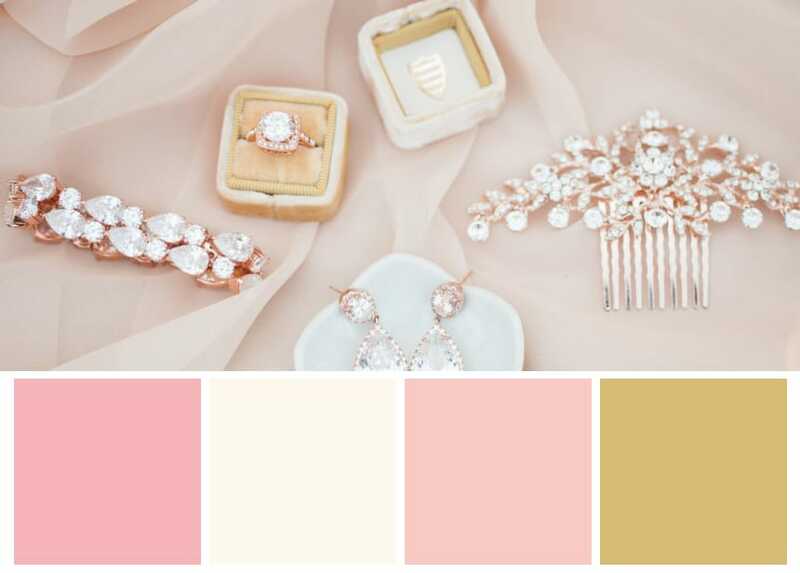 This palette is straight out of a fairytale. 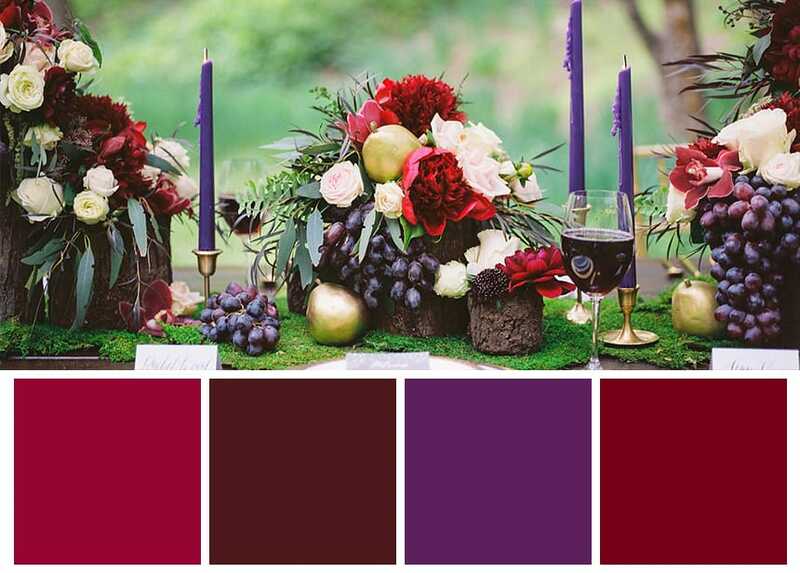 In other words, load your banquet table with all the colors of the harvest.